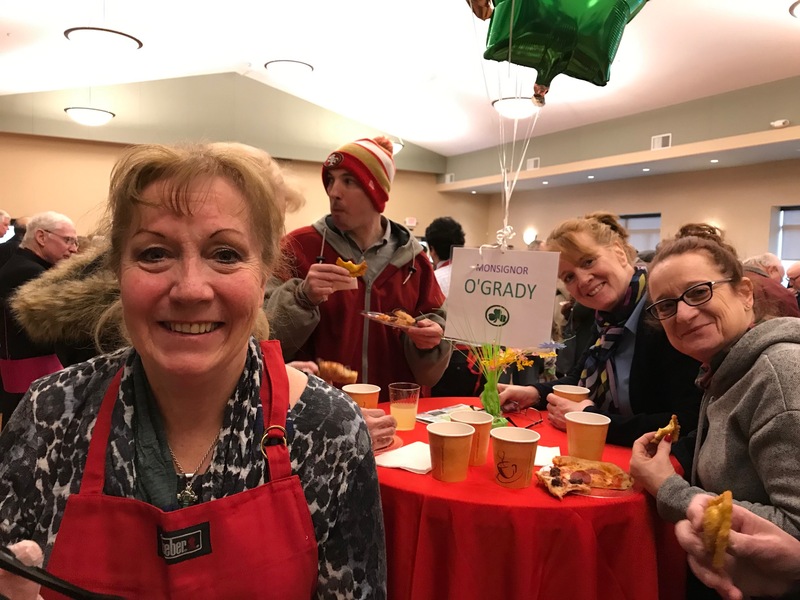 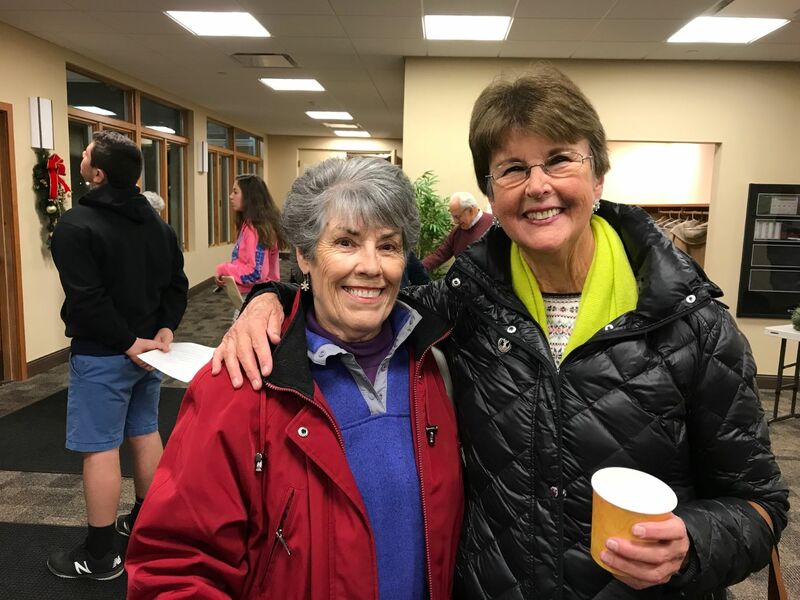 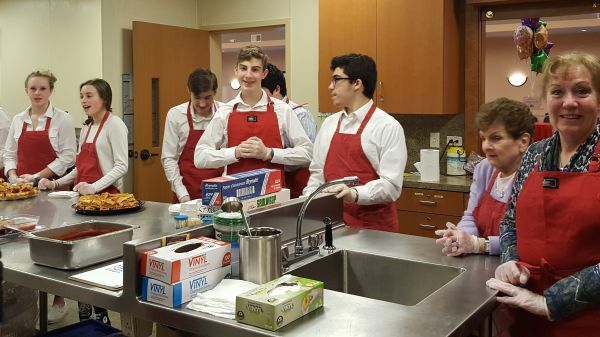 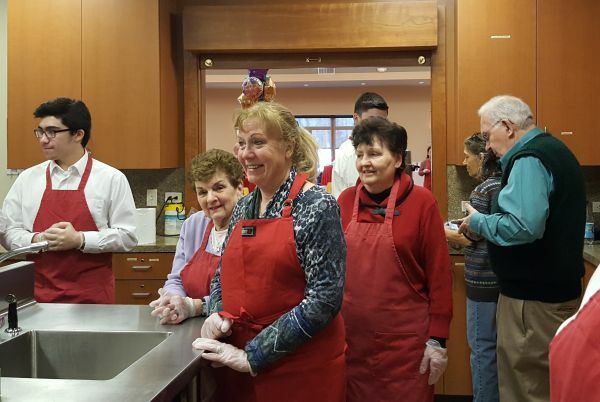 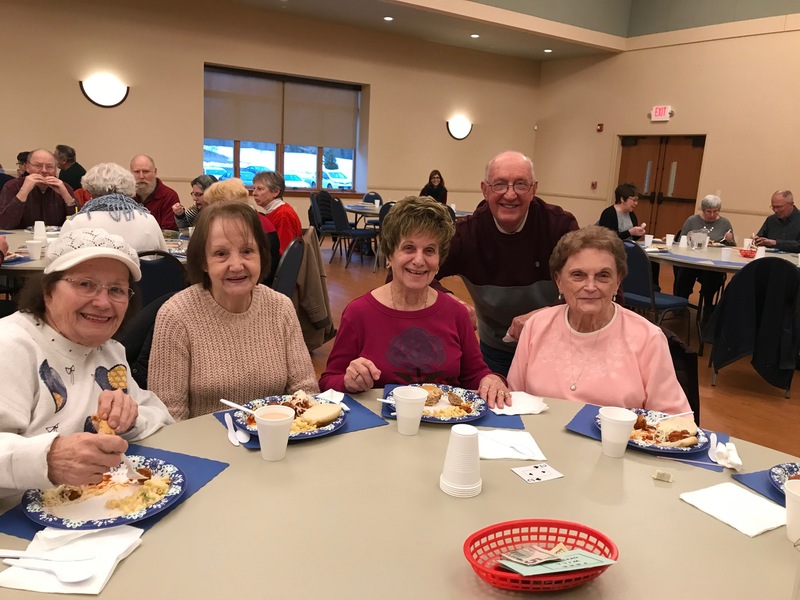 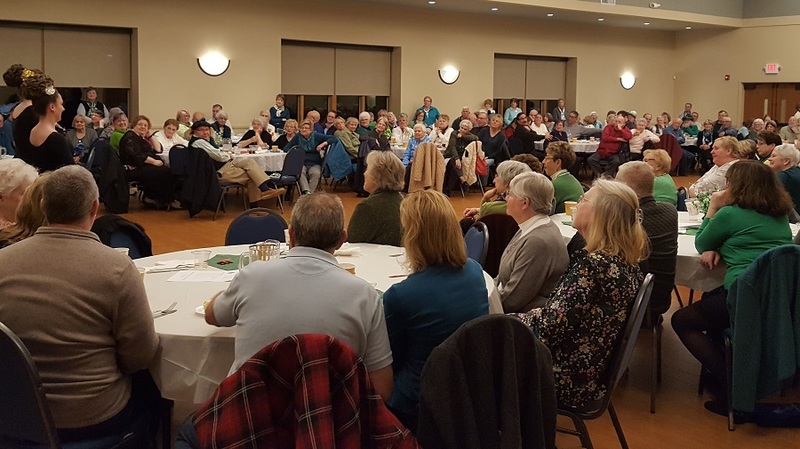 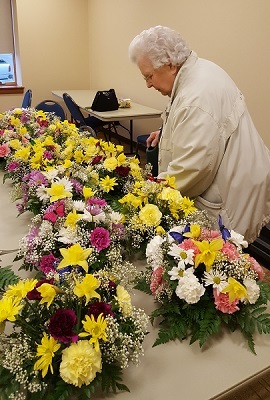 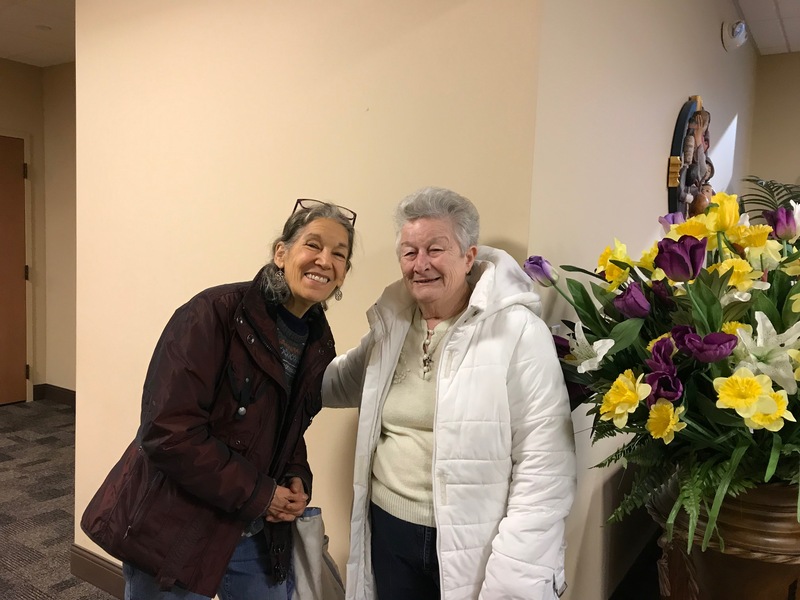 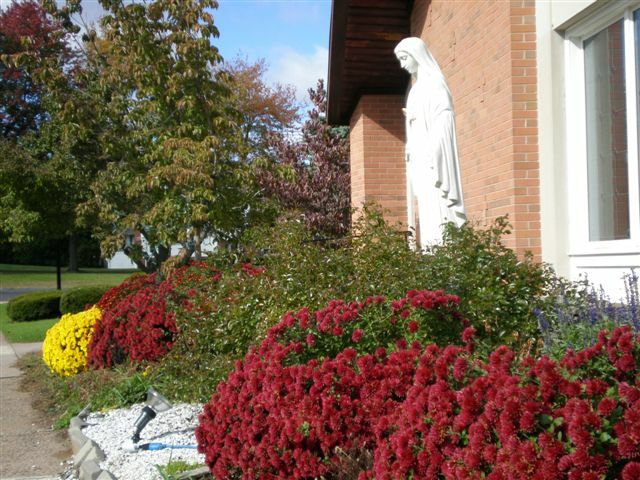 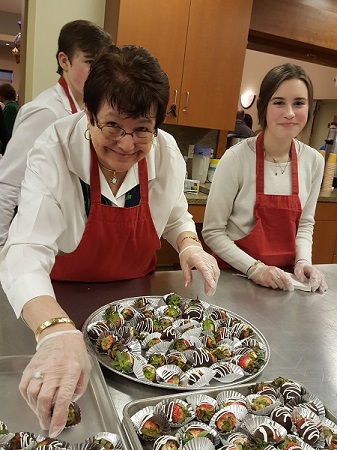 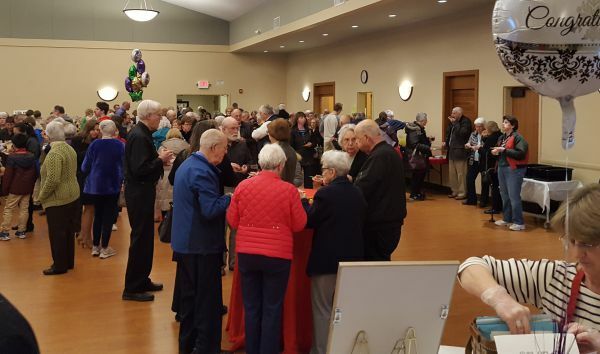 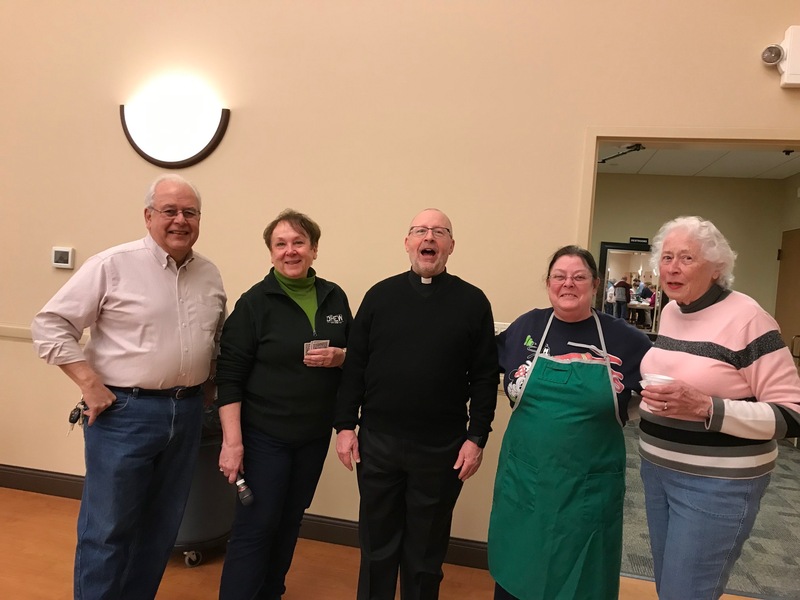 Mary, Gate of Heaven parishioners and friends celebrated with Father O'Grady on March 16. 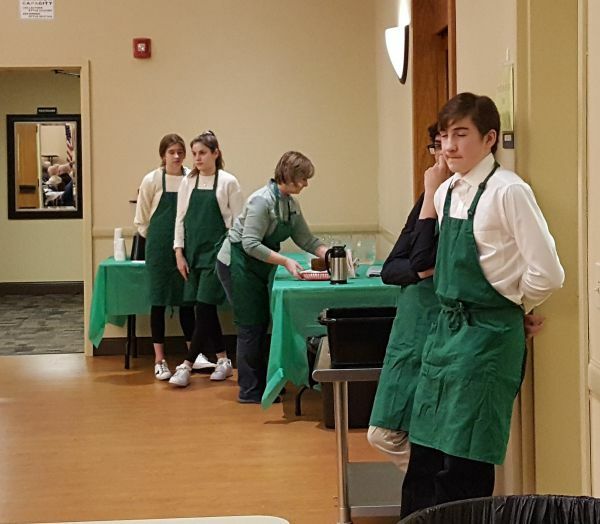 Here are some additional pictures of the event! 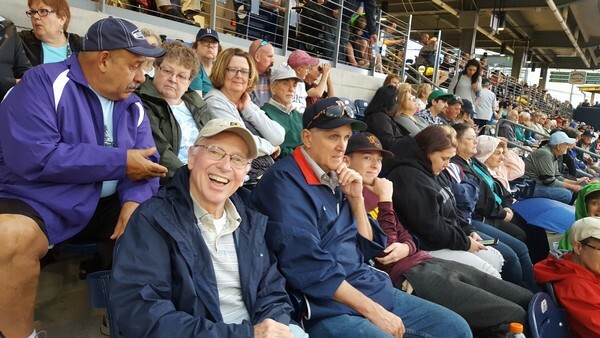 There are 2 more below! 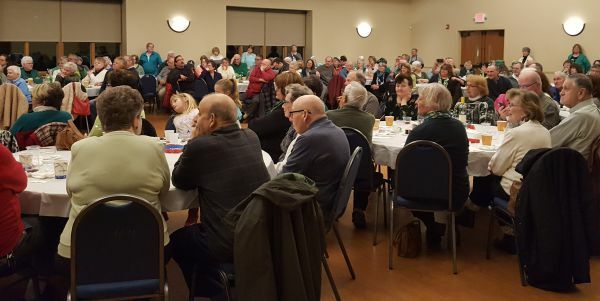 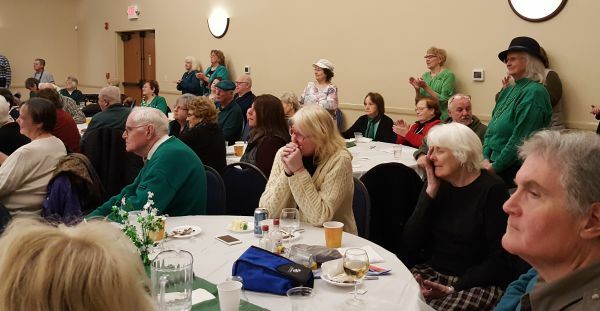 The parish's annual St. Patrick Day dinner, featuring Irish step dancers, was held on March 9 and enjoyed by all! 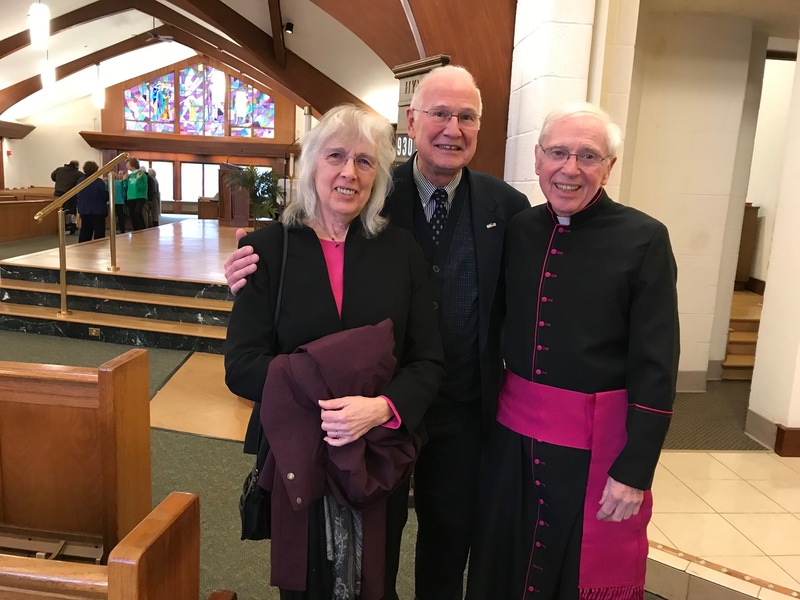 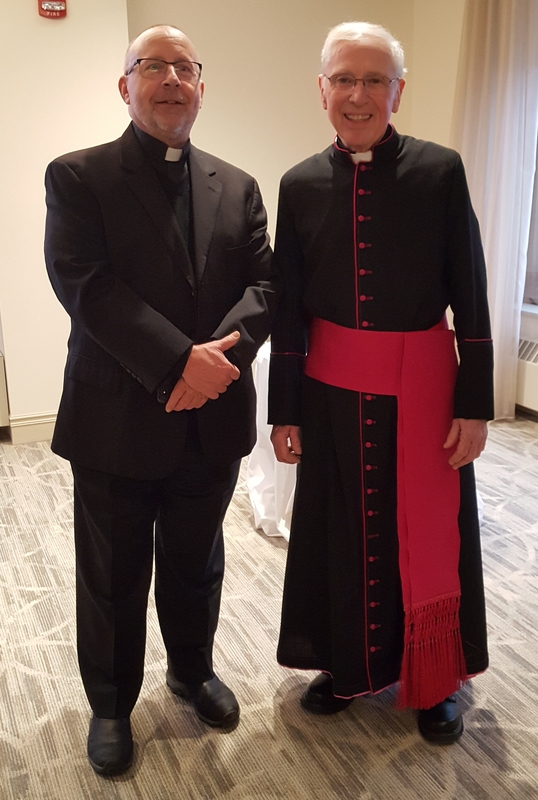 A reception to celebrate the conferral of papal honors on Monsignor O'Grady's was held on March 16 after the 4:30 p.m. Mass. 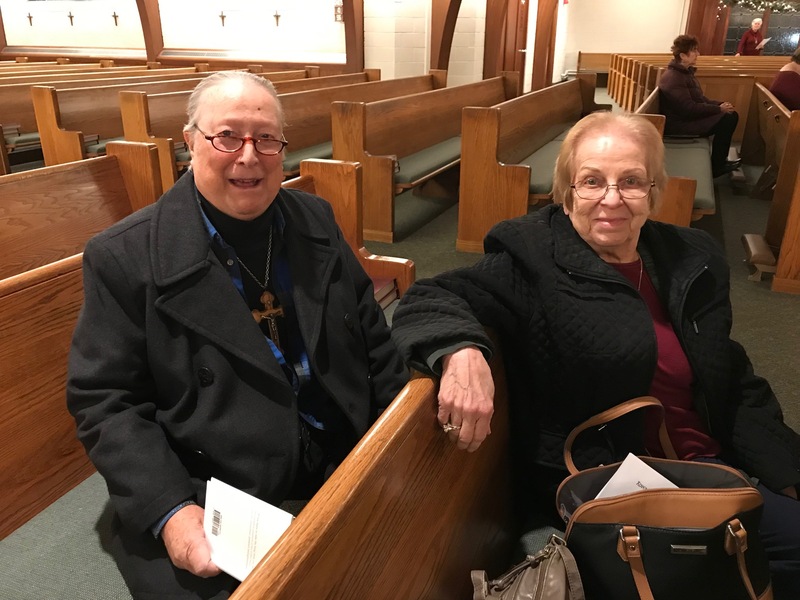 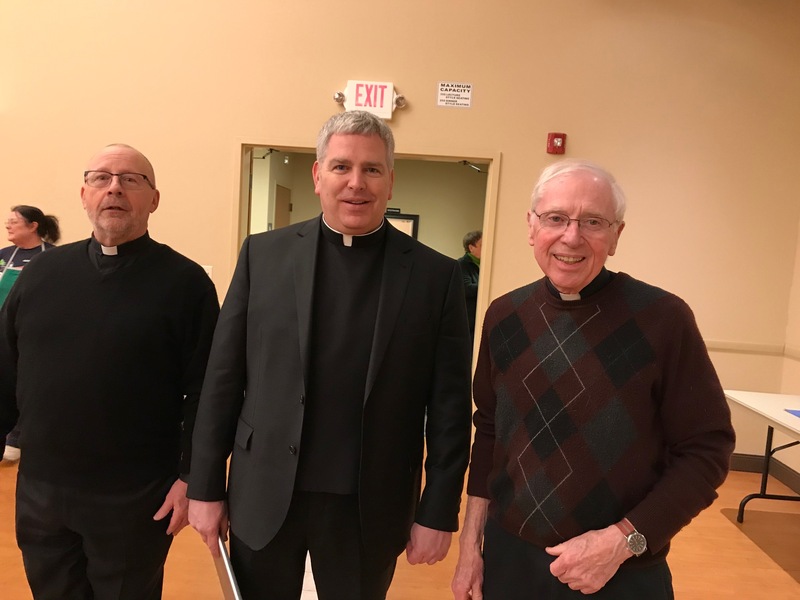 The celebration of the conferral of papal honors for diocesan priests who were recently designated by Pope Francis as “monsignors” took place at a prayer service on Sunday, February 24 at St. Thomas Chapel at the Pastoral Center of the Archdiocese of Hartford in Bloomfield. 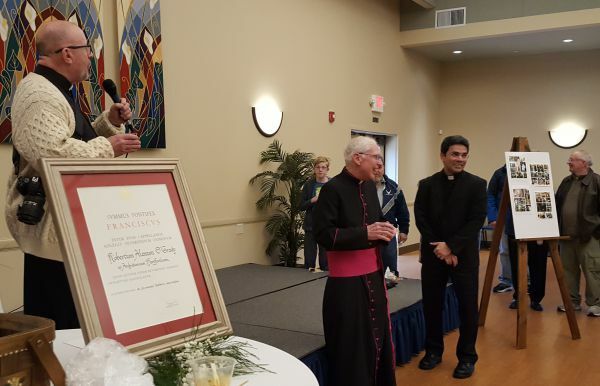 Archbishop Leonard Blair presented each of the new monsignors with their personal certificate signed by Pope Francis. 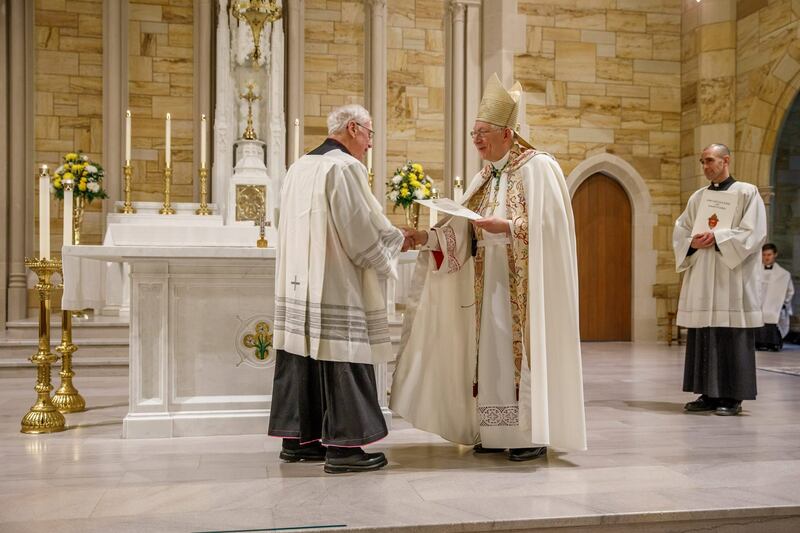 More pictures of the celebration can be viewed at https://www.catholiclifephotography.net/Public-Galleries/Events/Other/2019-AOH-Conferral-of-Papal-Honors/i-zqs9RQd/A. 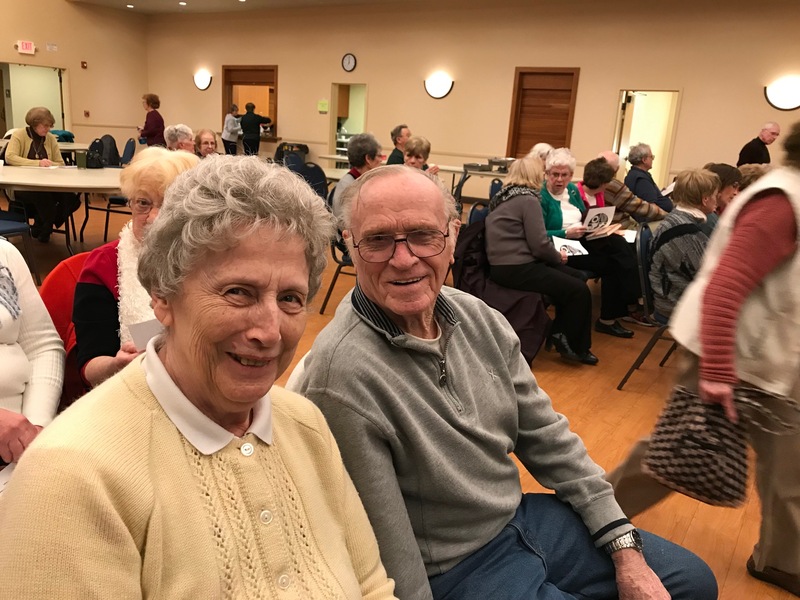 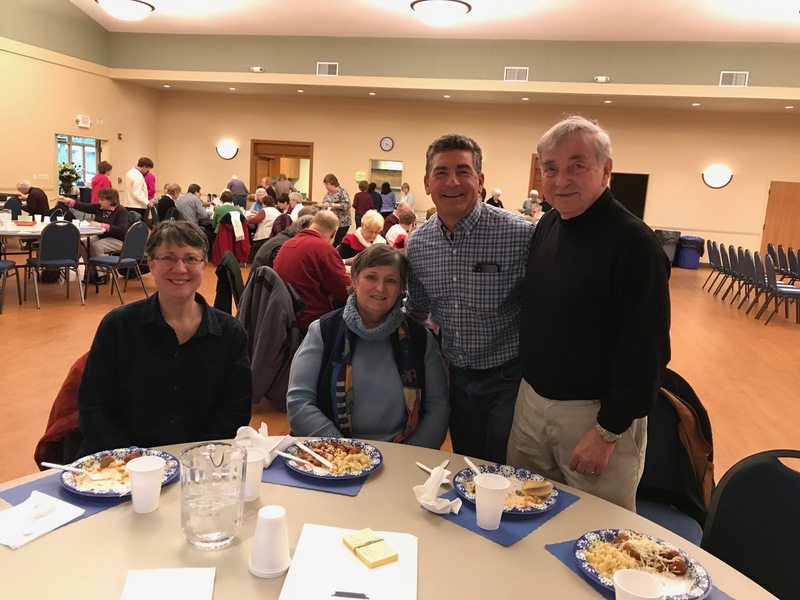 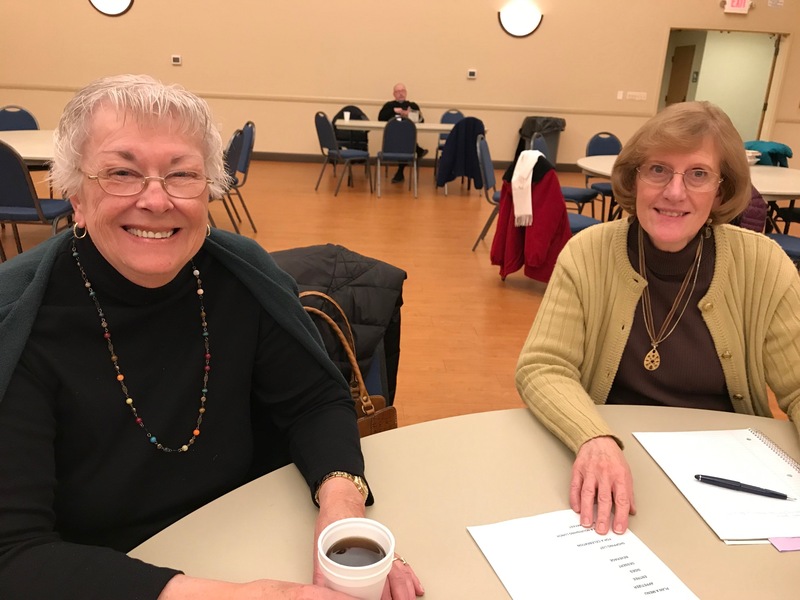 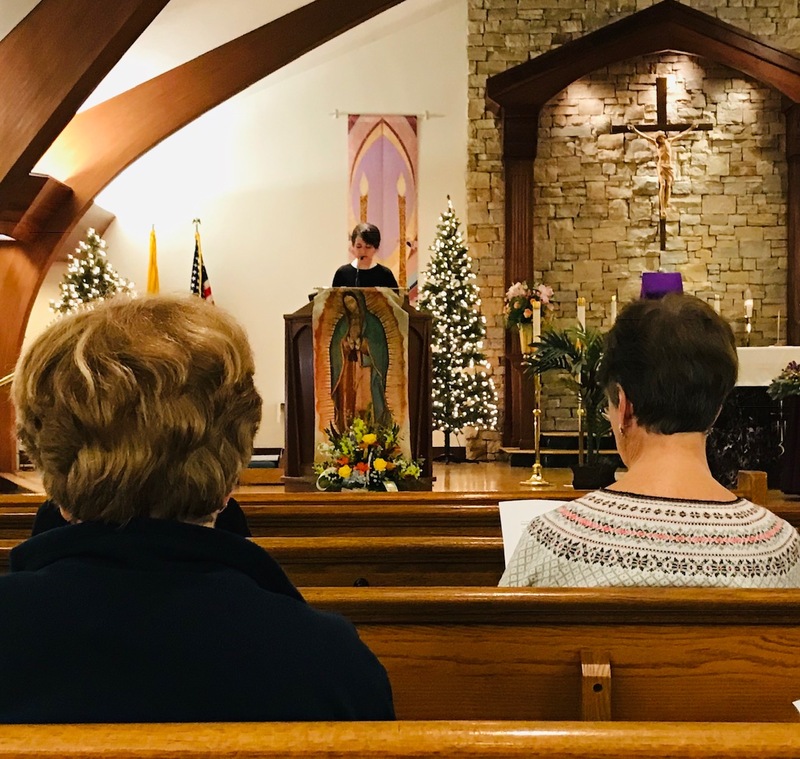 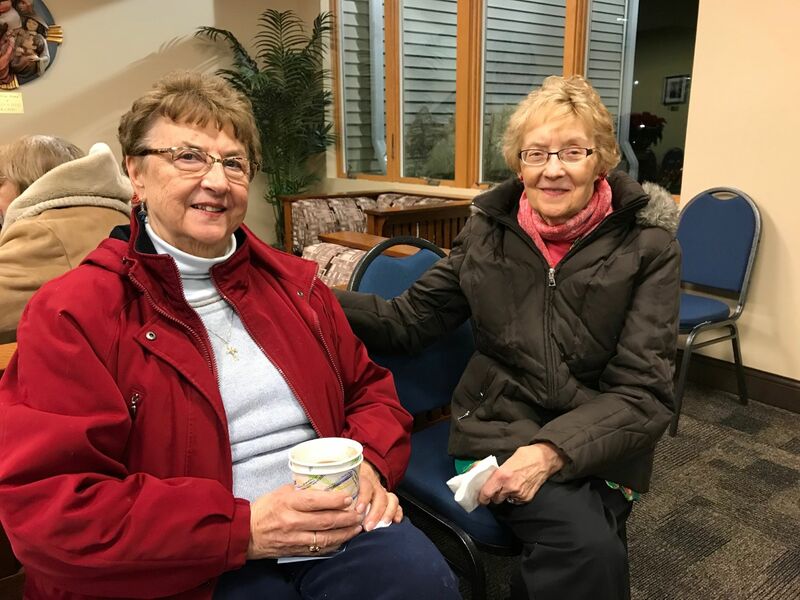 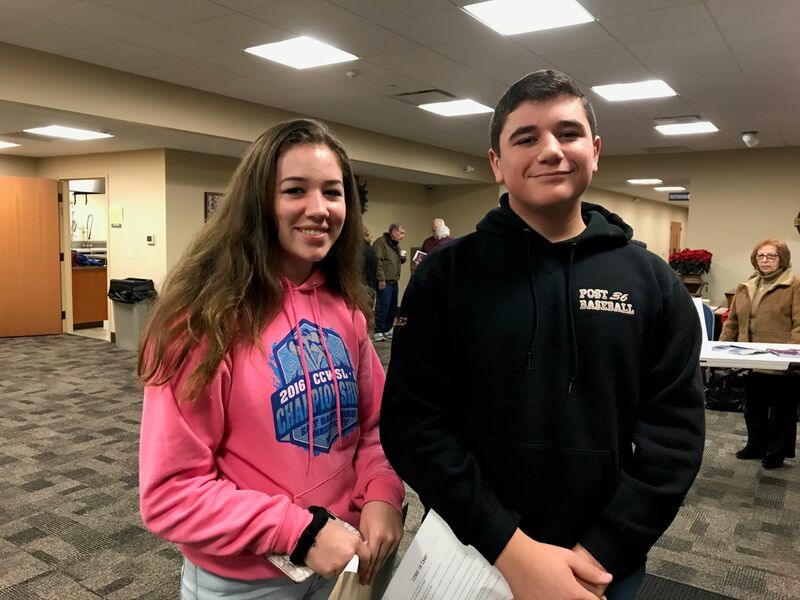 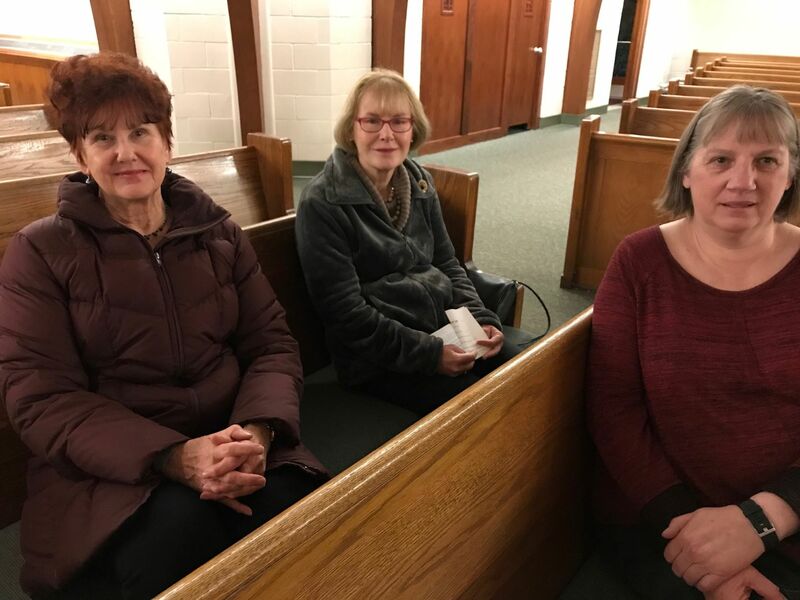 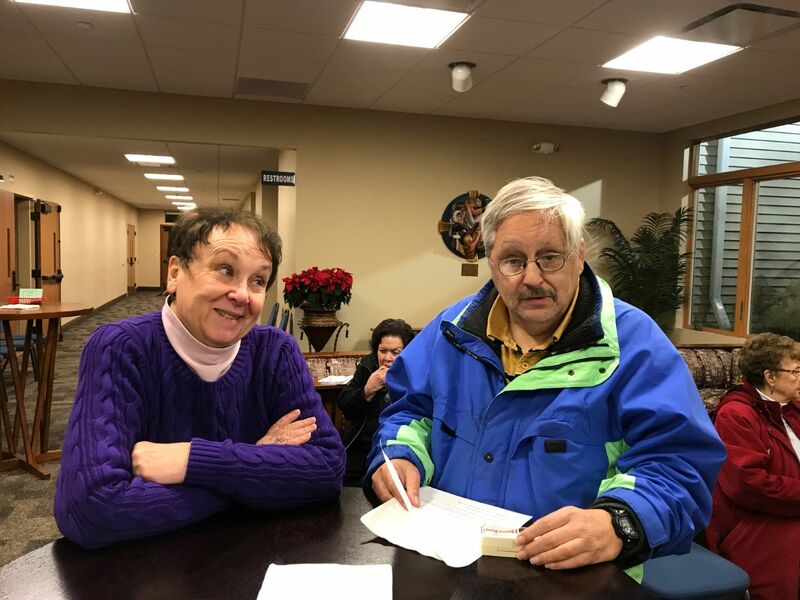 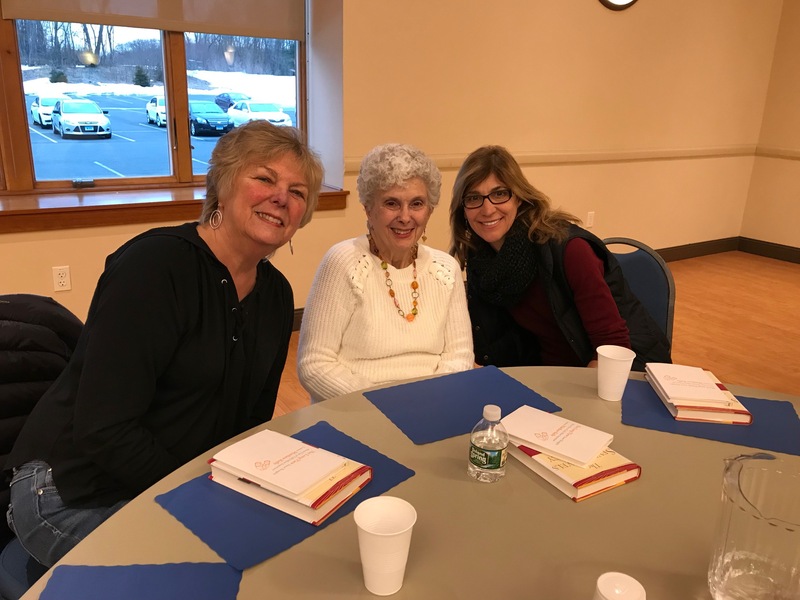 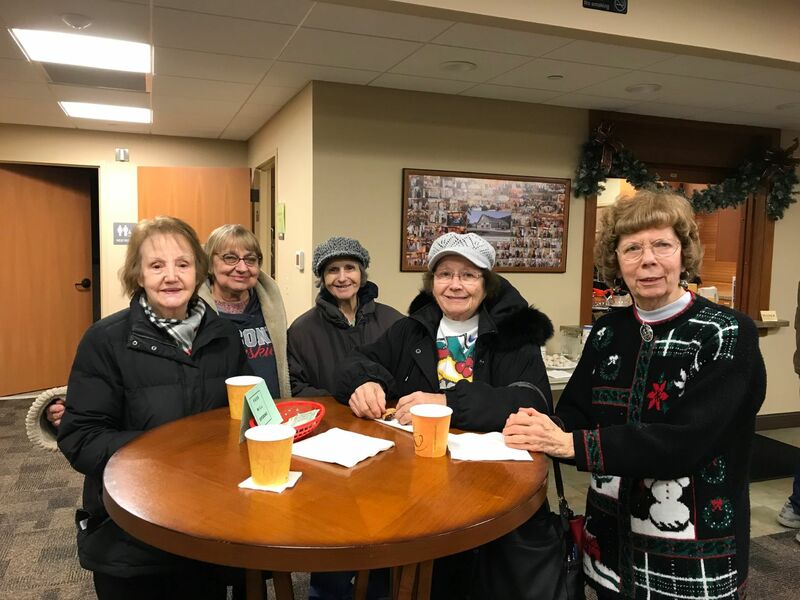 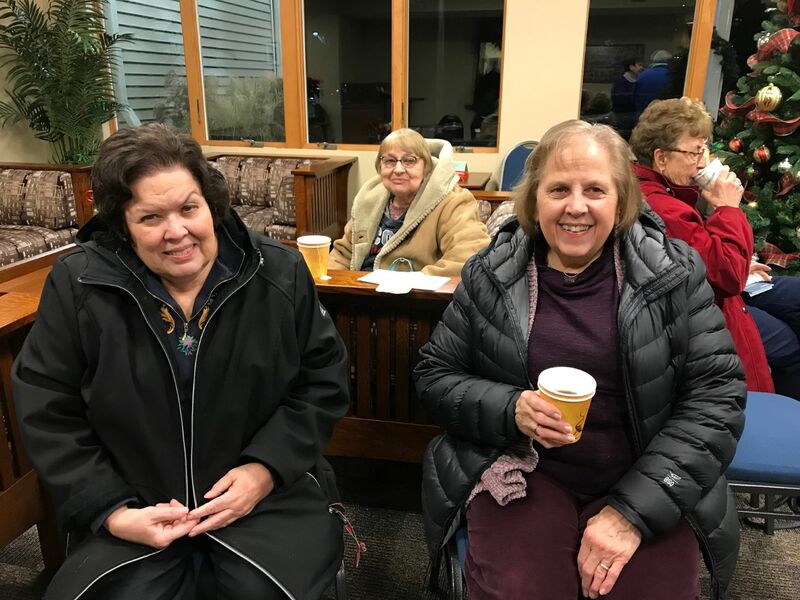 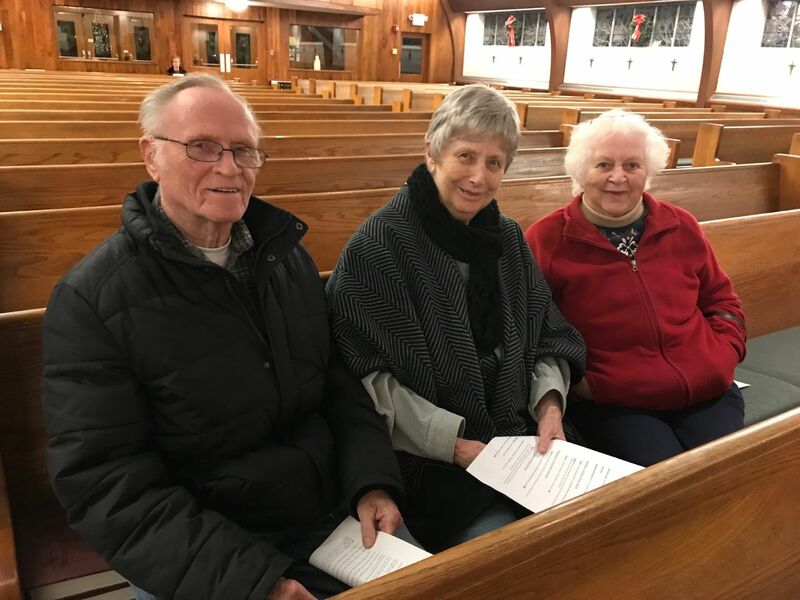 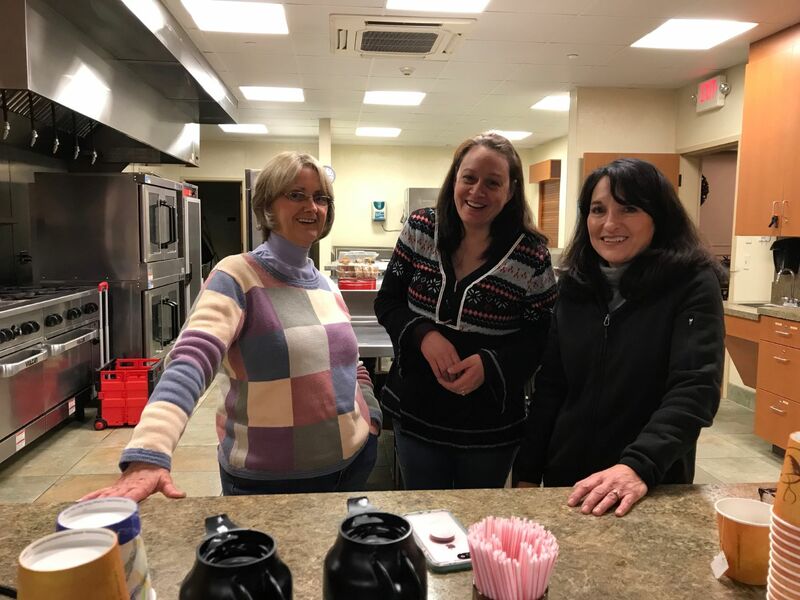 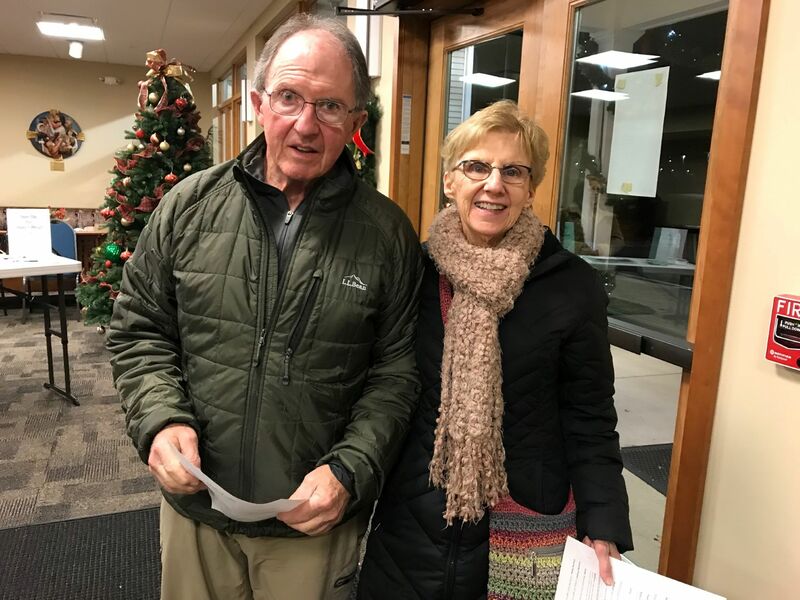 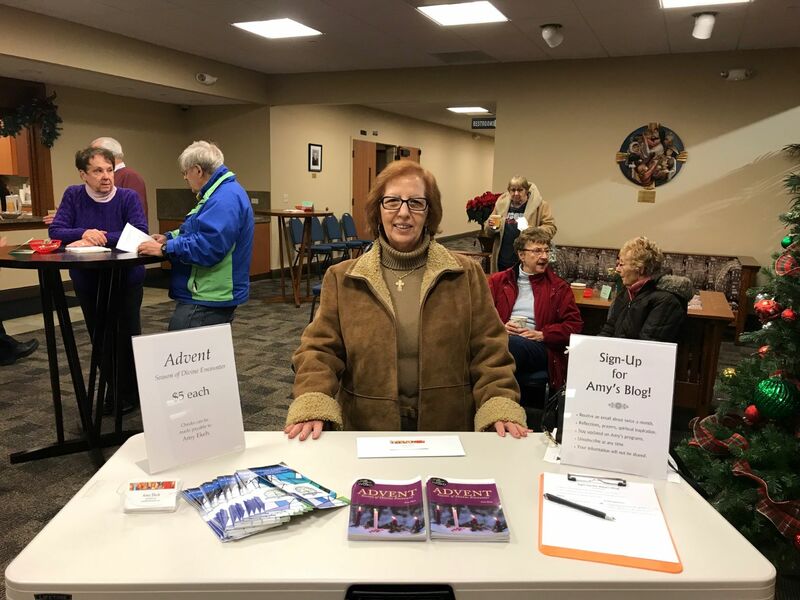 The Evangelization Team Advent Evening of Music and Reflection was held on December 5, 2018. 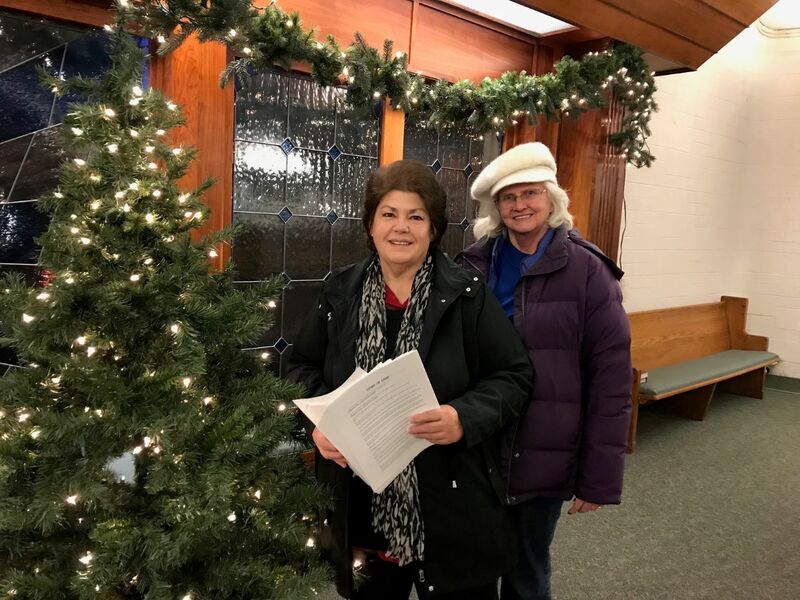 The title of the program was “A Light Shines in the Night.” It was a beautiful Advent prayer preparation helping us to wait for the coming of the Light. 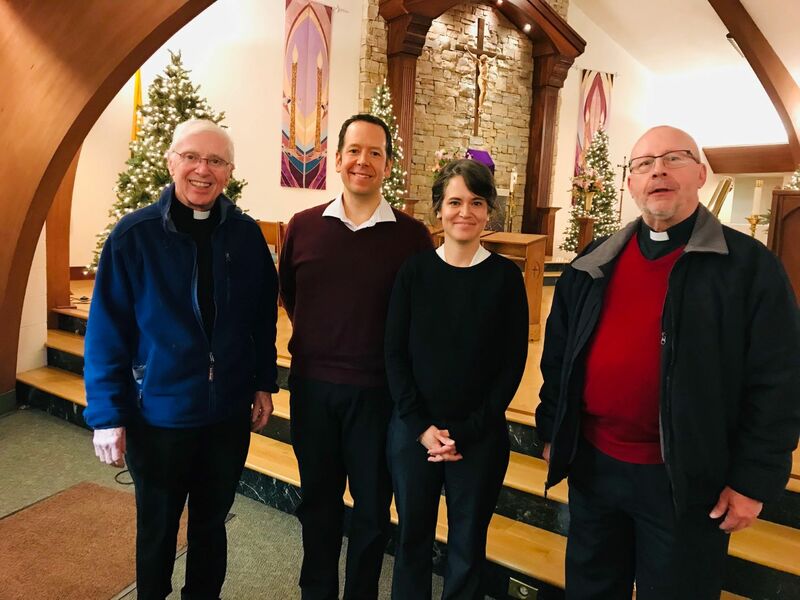 Presenters were Bible scholar Amy Ekeh and musician Brian Rucci. 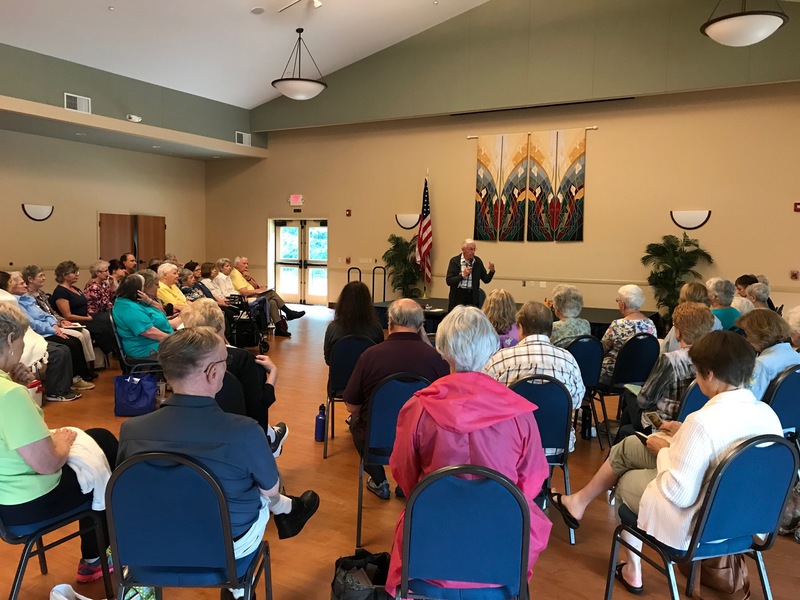 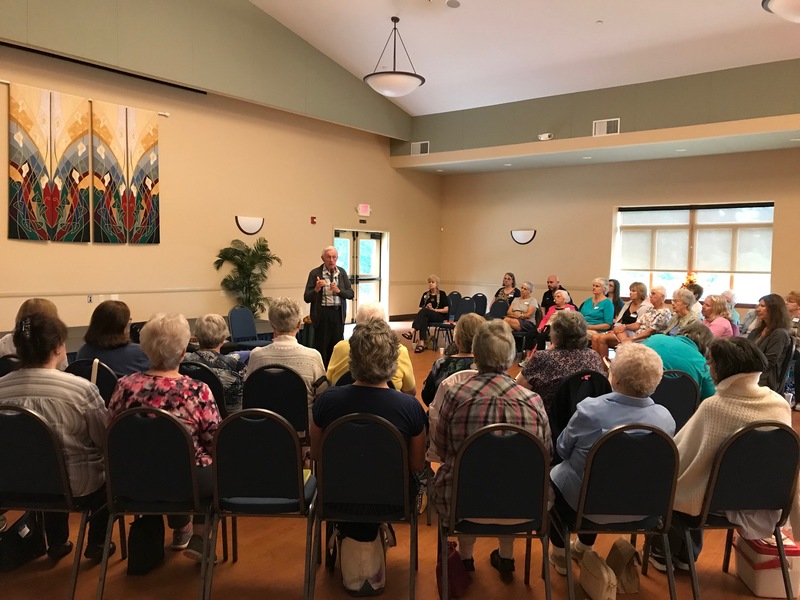 Father Bill Sheehan Held a Prayer Day Retreat on wisdom Jesus on Saturday, September 15. 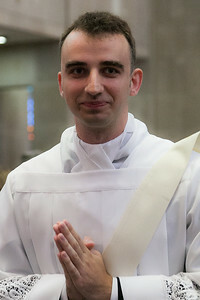 Father David Madejski was ordained to the priesthood on Saturday, June 23. 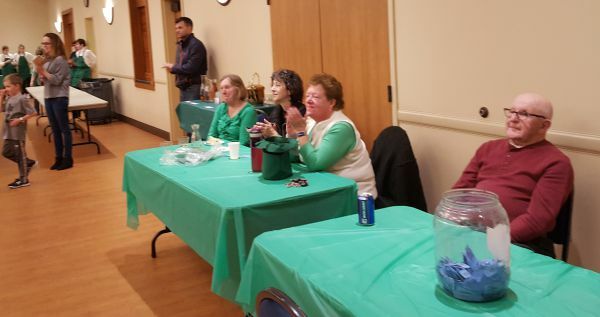 More pictures will be added to Beth Chase's Fr. 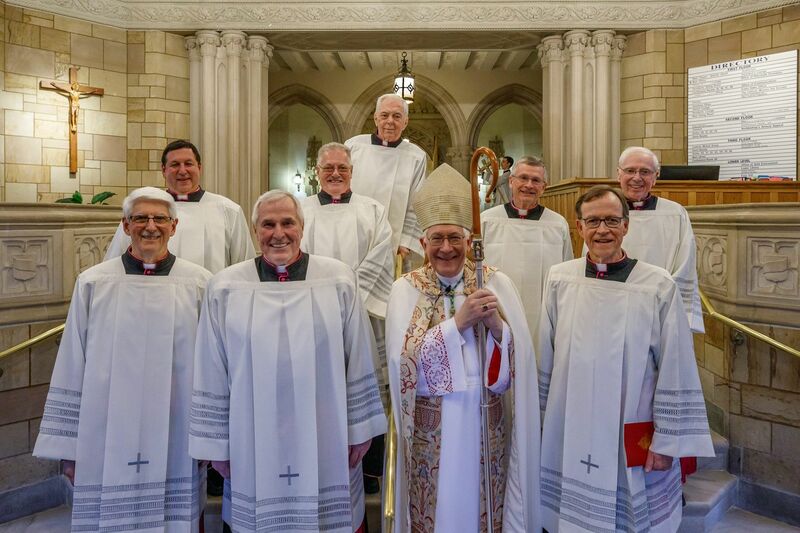 David Madejski Ordination page, so please return to see more! 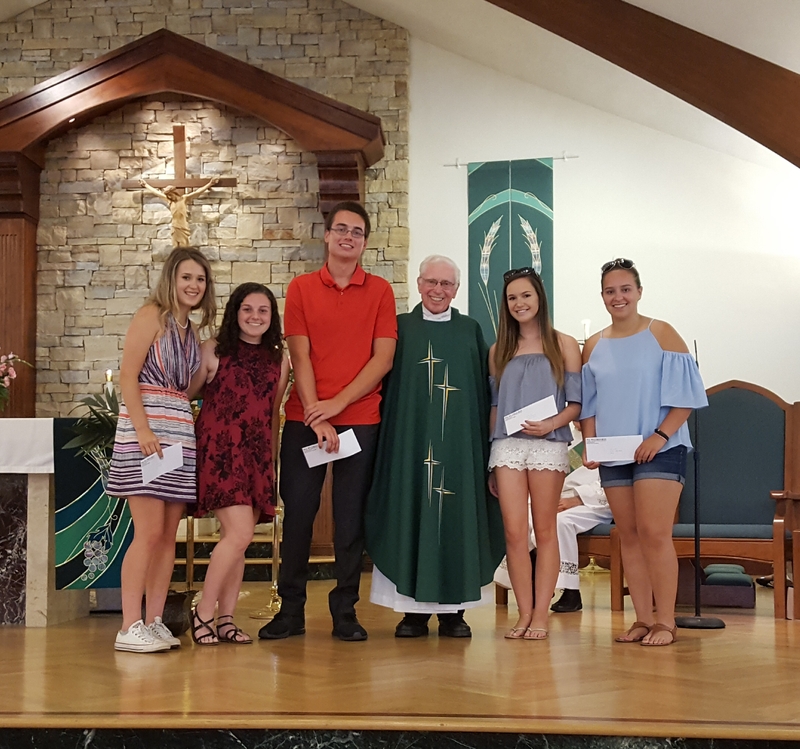 Father Robert O'Grady stands with several 2018 graduating seniors from Mary, Gate of Heaven parishes in Windsor Locks to whom he awarded the Mary, Gate of Heaven/Knights of Columbus grant on July 7. 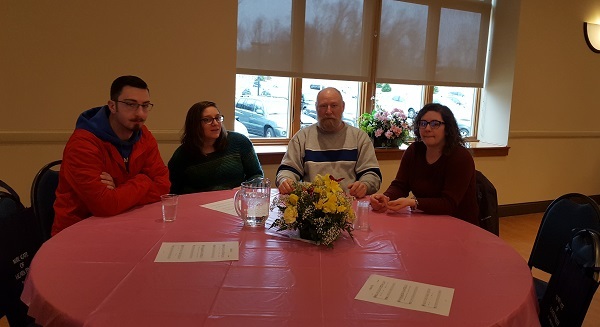 From left are: Bridget Carey, Ashley O’Brien, Patrick Collins, Fr. 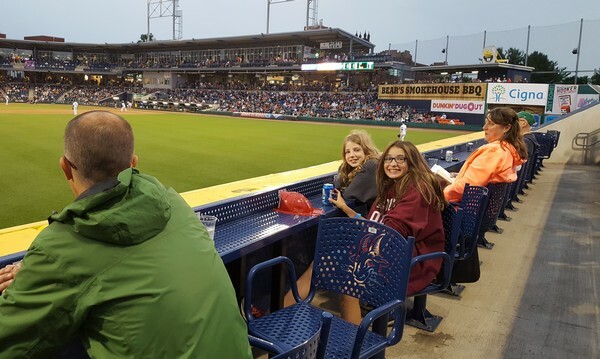 O’Grady, Kaileigh Perez and Sophie Oliveira. 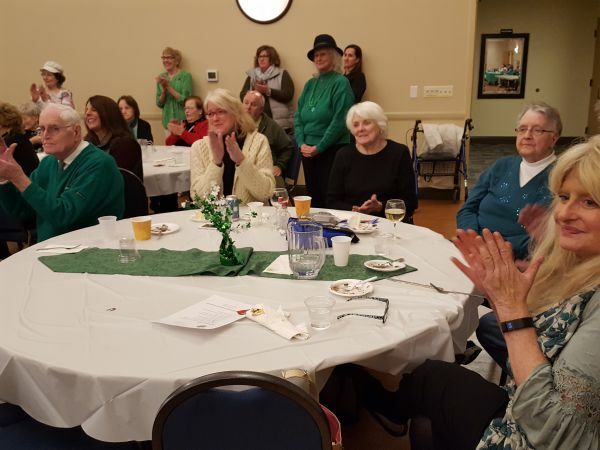 In addition to those in the photo, a grant award also went to Nishita Babu. 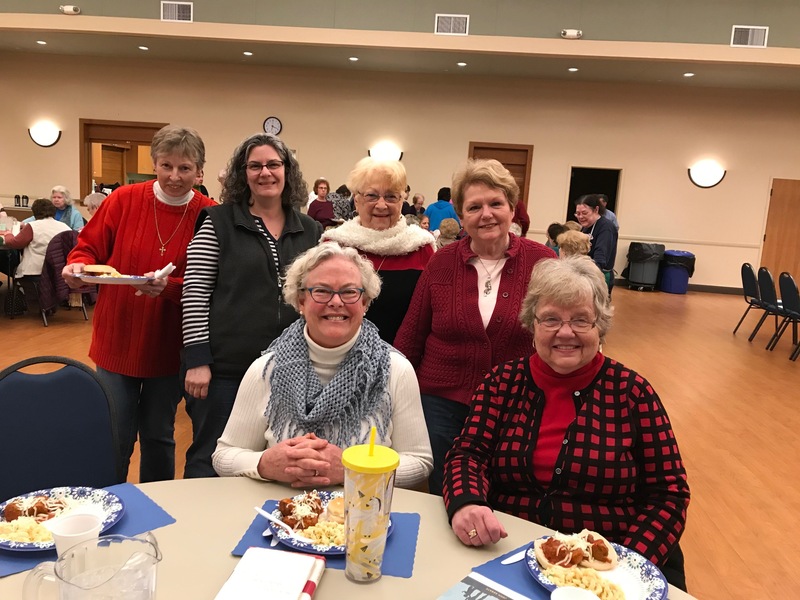 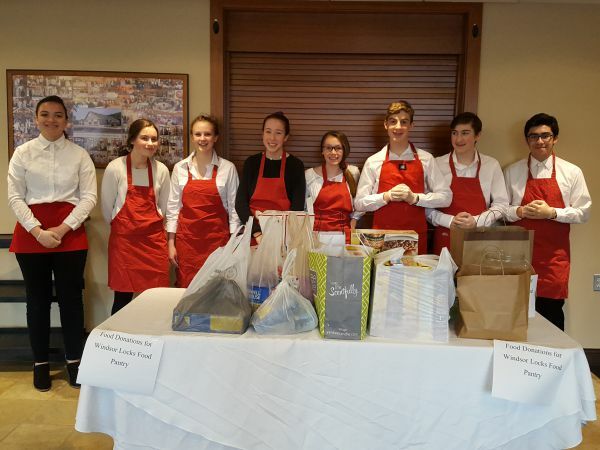 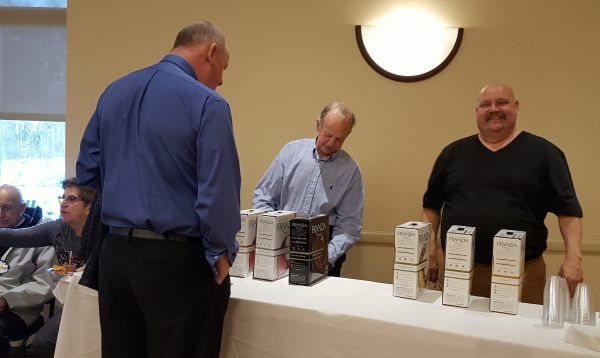 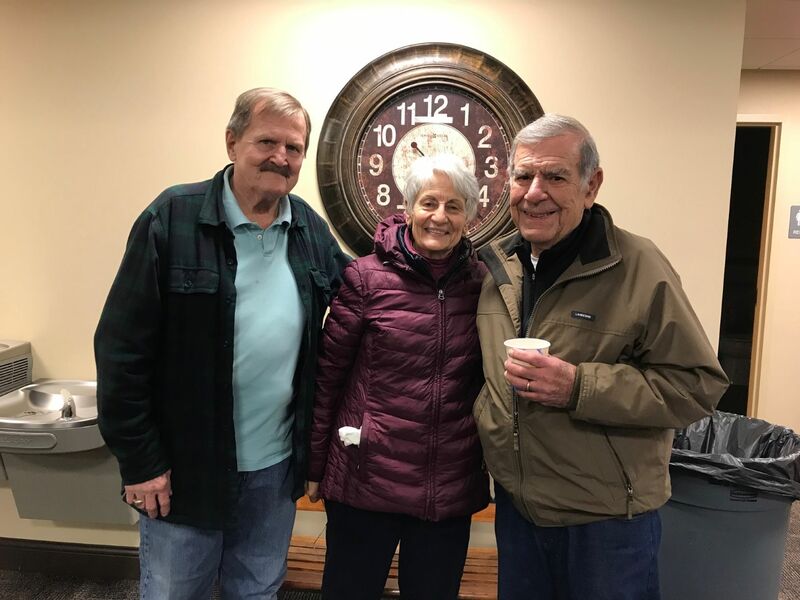 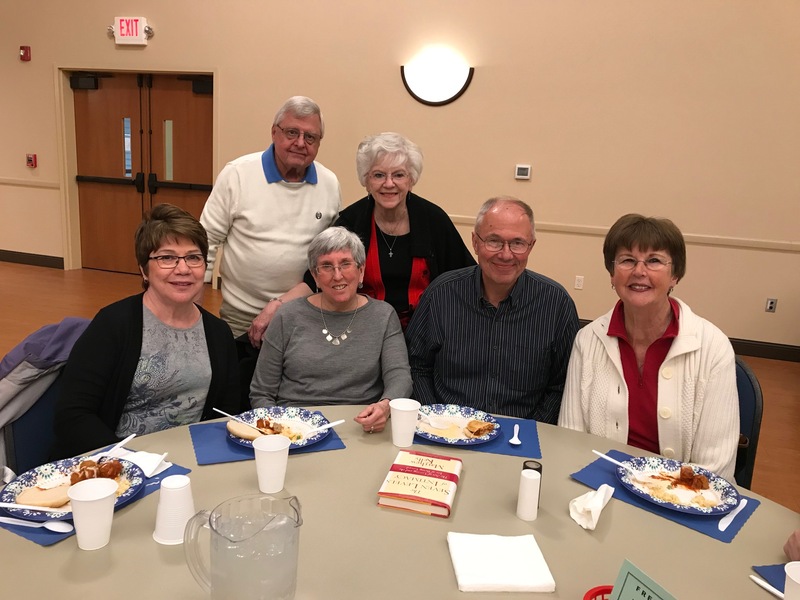 The awards were made possible by Knights of Columbus Council 26, which donated $2,500, and the work of many volunteers of the parishes, who ran dinners, socials, raffles and tag sale to raise funds for the High School Senior Scholarship. 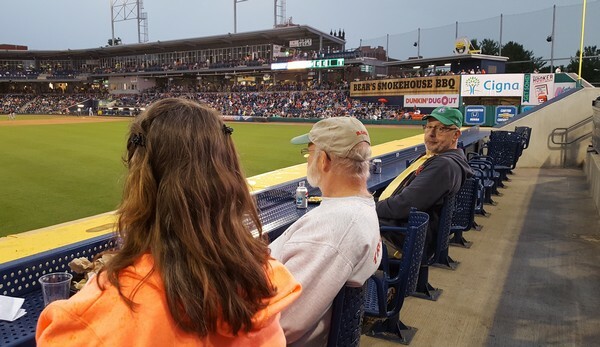 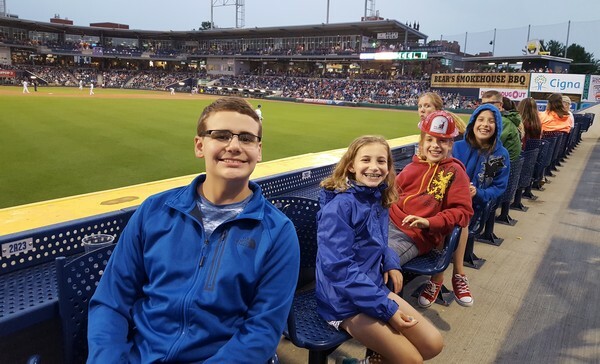 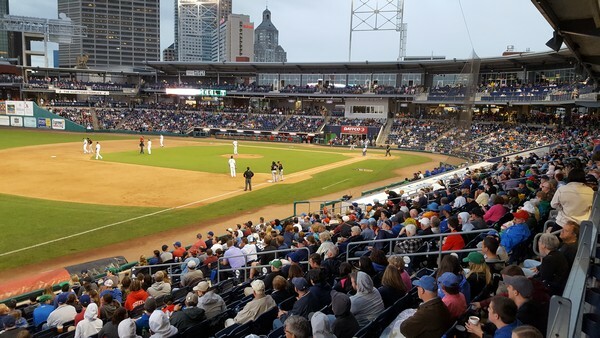 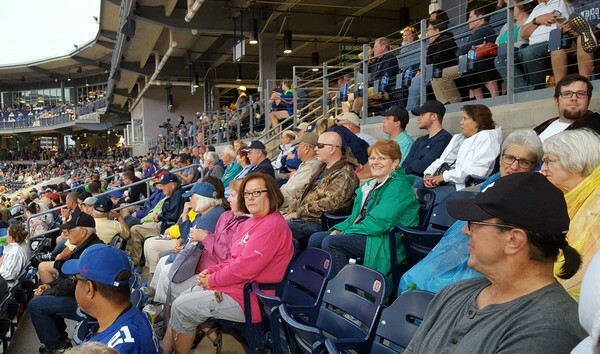 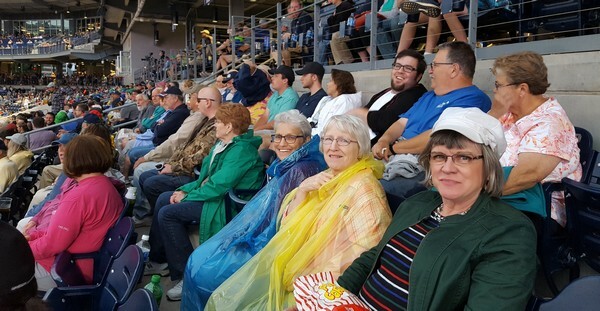 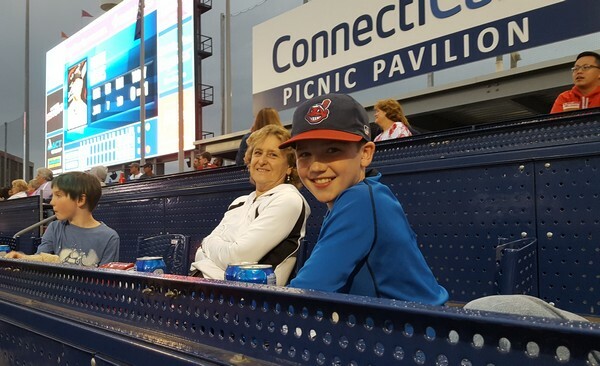 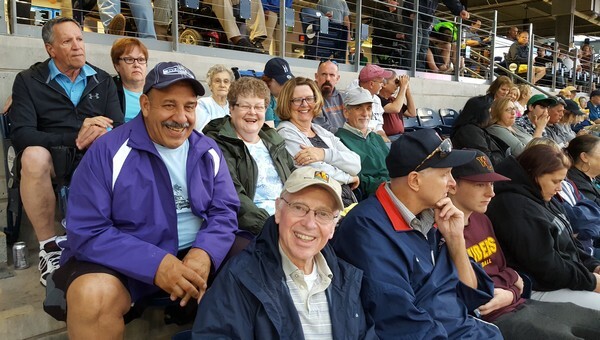 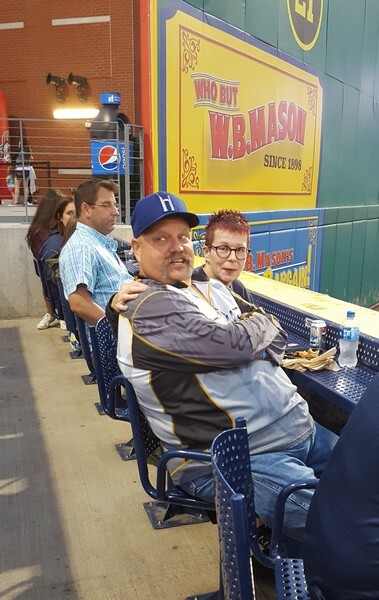 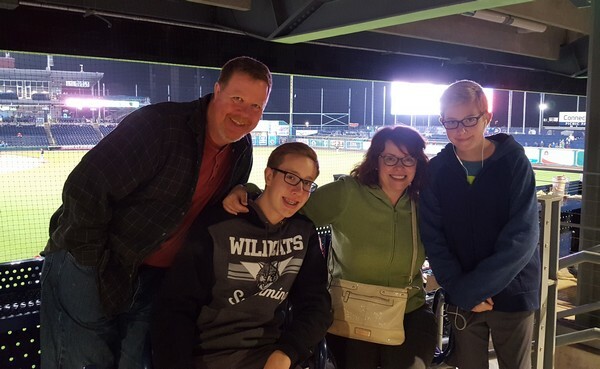 On Wednesday, June 27 about 125 parishioners of Mary, Gate of Heaven and Altar Servers of the parish went to see the Hartford Yard Goats play the Richmond Flying Squirrels. 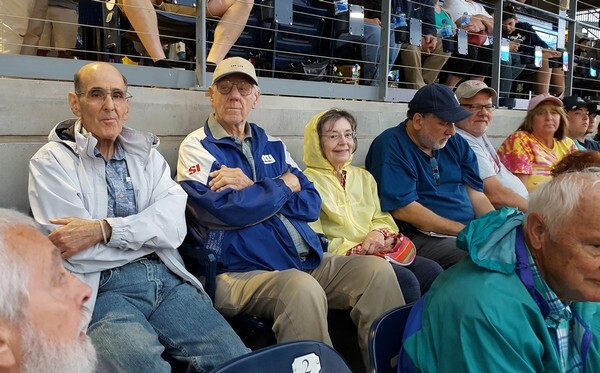 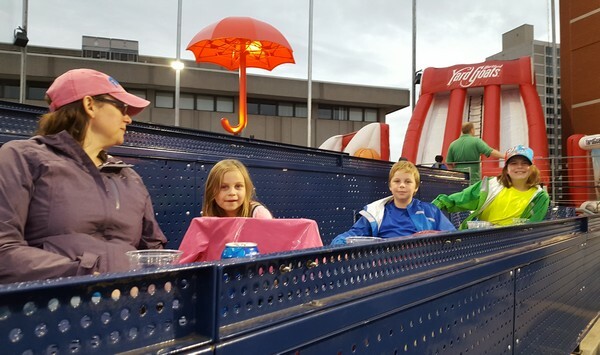 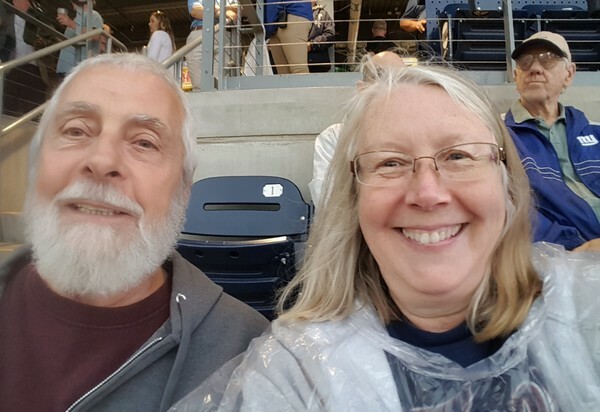 A great time was had by all, even though it rained and the Yard Goats lost to the Flying Squirrels. 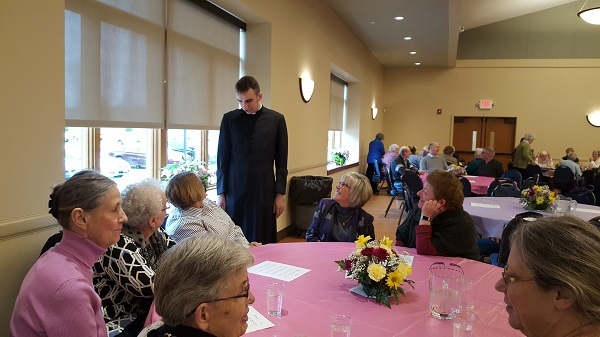 Thank you goes out to Fr. 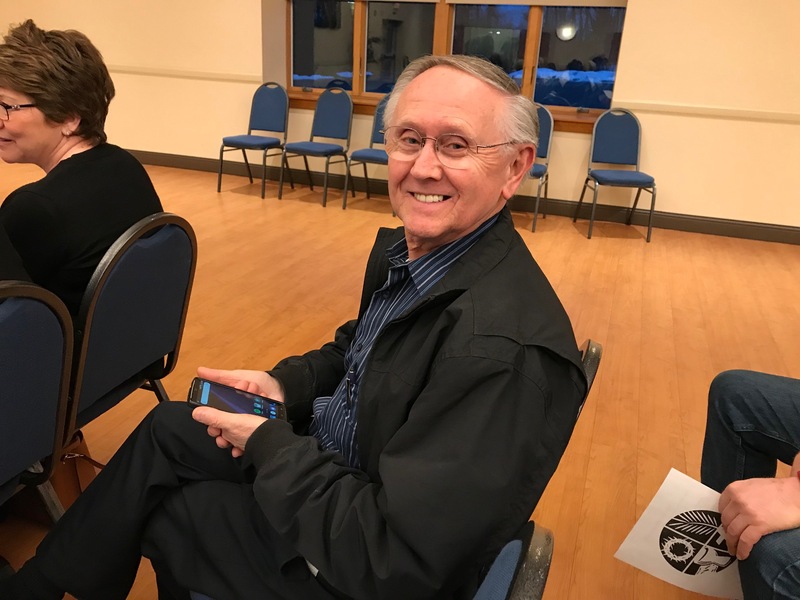 Tim for putting this event together! 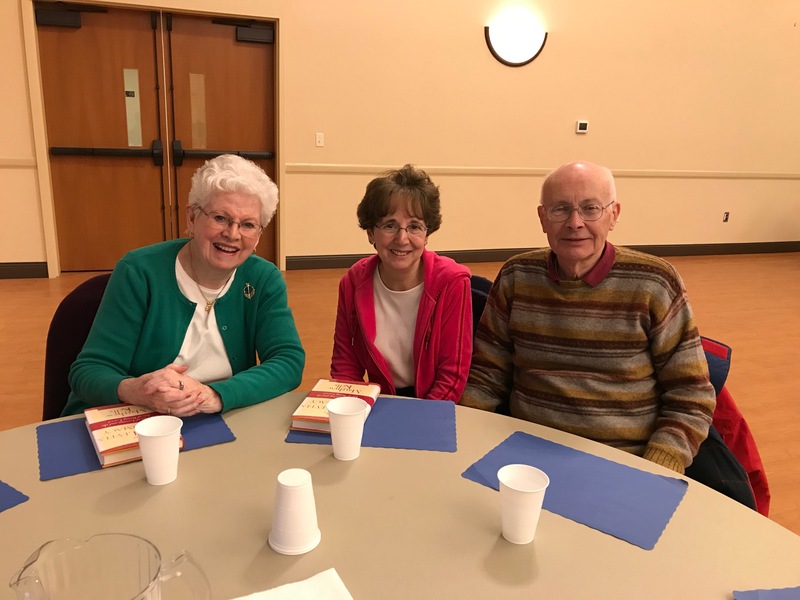 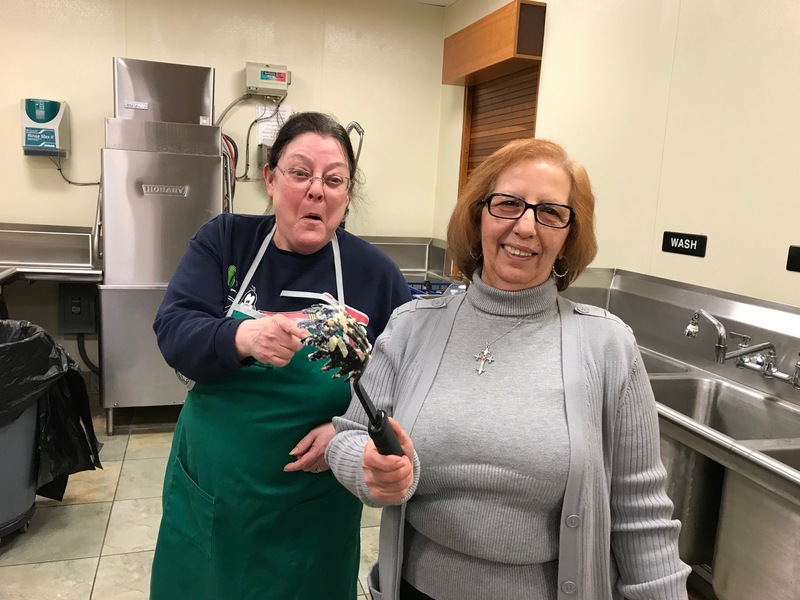 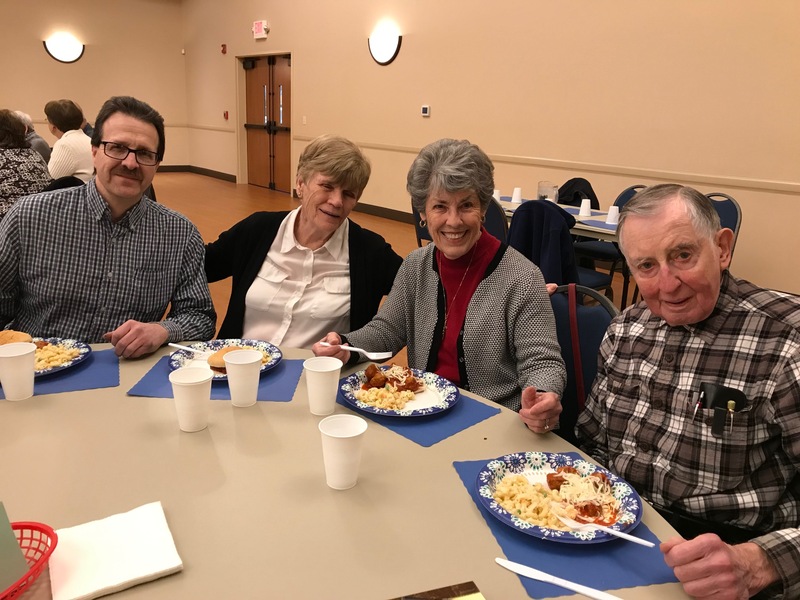 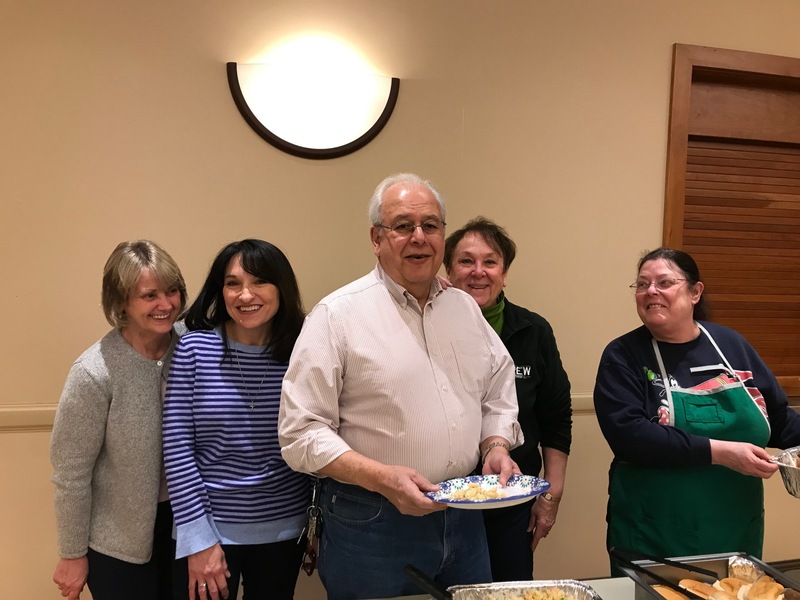 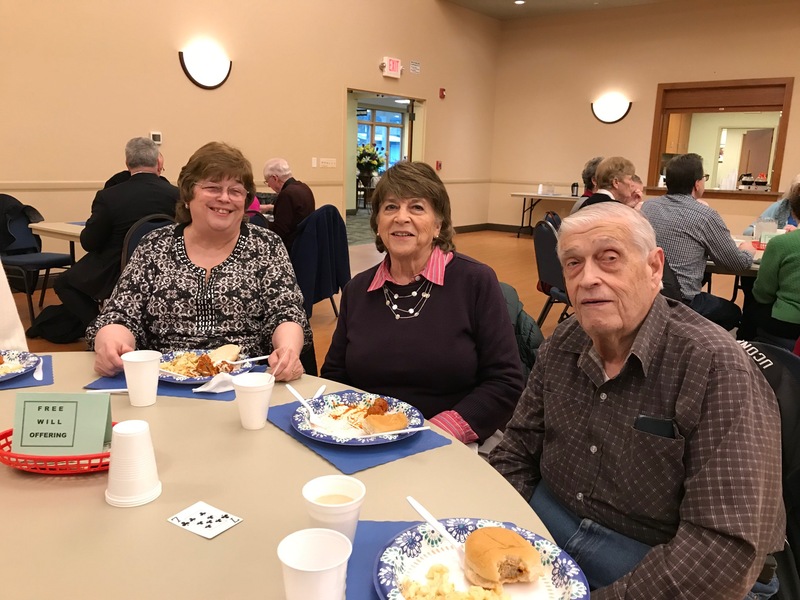 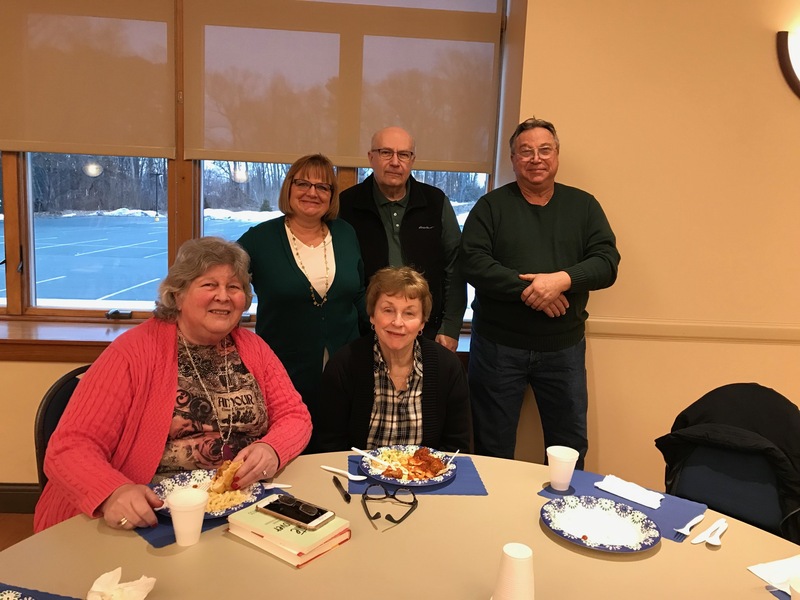 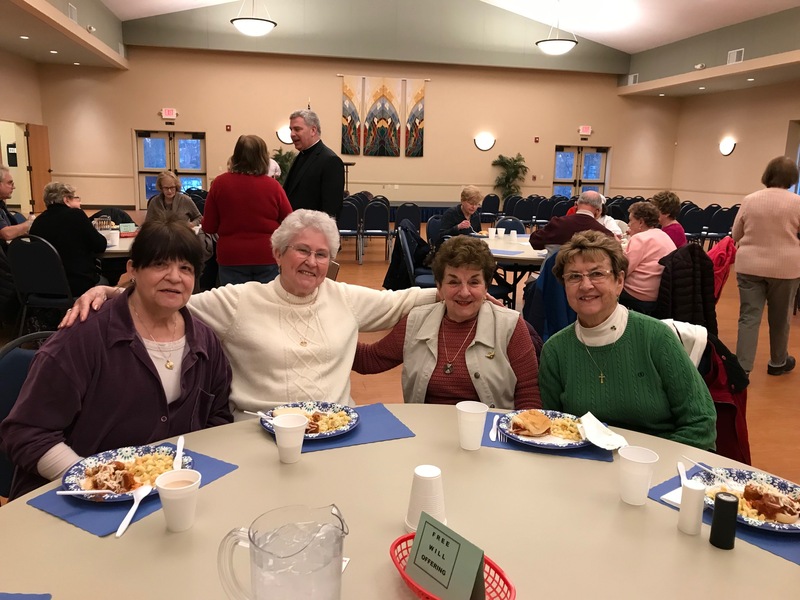 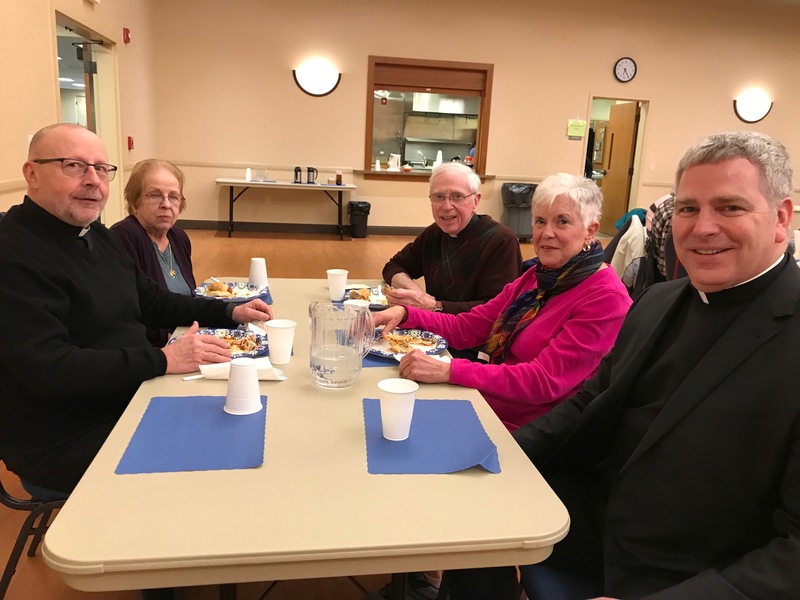 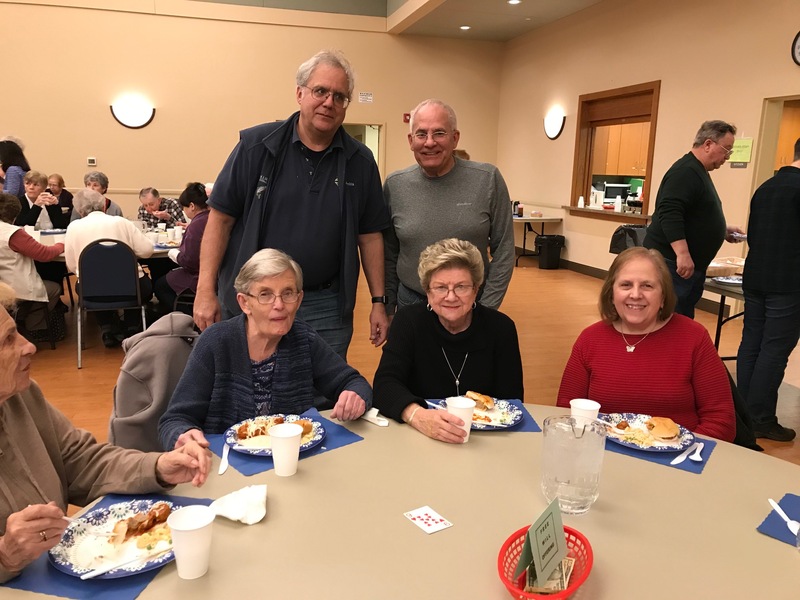 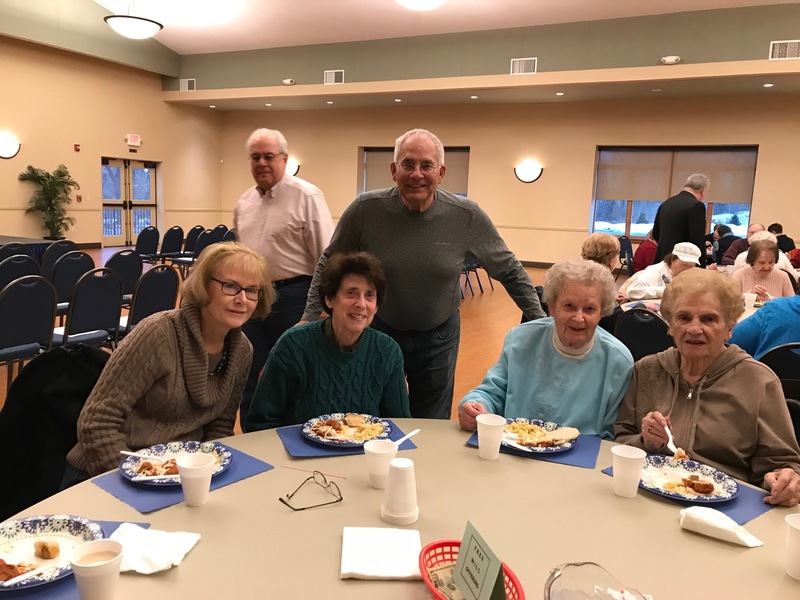 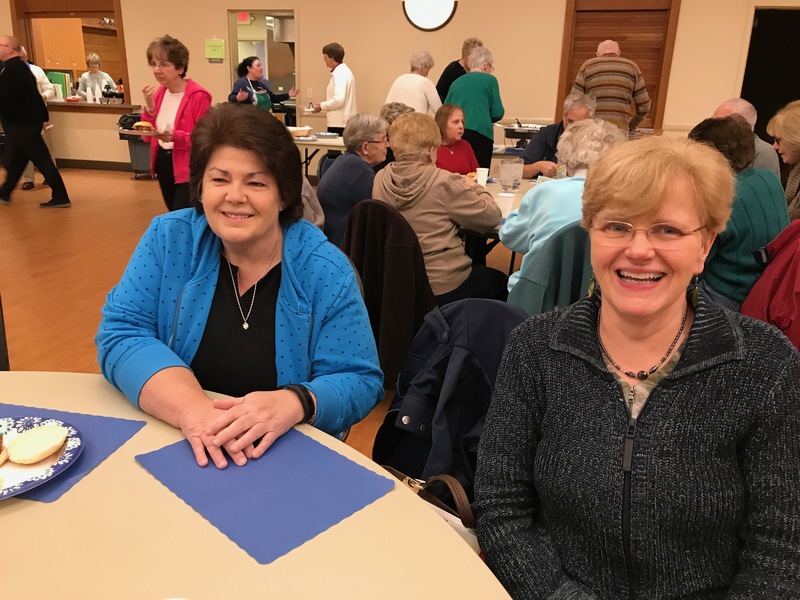 Father O'Grady hosted an appreciation luncheon on Sunday, April 15 for parish volunteers and staff. 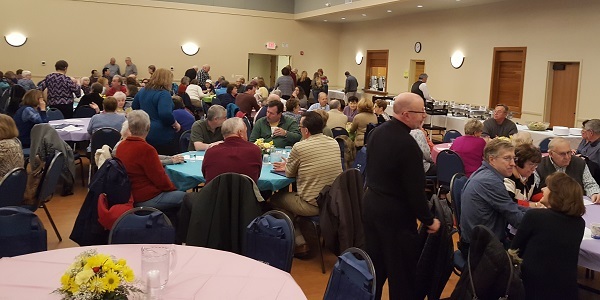 The food (catered by Maneely's) was delicious and the spirit of fellowship was enjoyed by all! 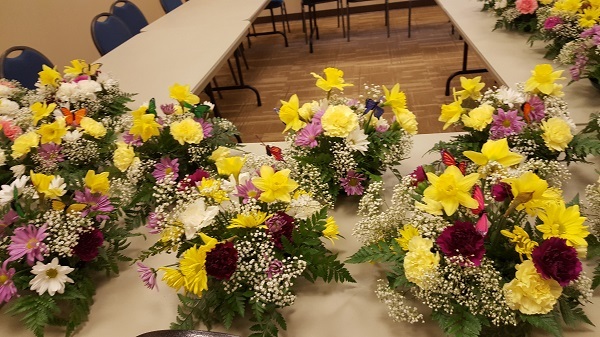 These beautiful centerpieces were created by Trudy Oliva.